Cattle Industry Market Advisory | Sterling Marketing, Inc.
Sterling Marketing, Inc. provides pointed economic analysis and forecasts for livestock, red meat, coffee, and edible oil. John S. Nalivka has 30 years of experience in livestock and meat industry consulting. He holds a B.S. degree in Animal Science from the University of Idaho and an M.S. degree in Agricultural and Resource Economics with an emphasis on production economics and price analysis from the University of Nevada. From 1984 to 1986, Nalivka was an agricultural economist with the Economic Research Service of USDA, with primary responsibilities as a cattle industry analyst. Following his employment at USDA, Nalivka served as a Market Information Specialist at Oregon State University and Director of Research at the Helming Group. In 1991, Nalivka became a partner and Executive Vice President of Sterling Marketing, Inc., helping to develop the economic advisory services that the firm offers today. He purchased the firm in 1994, making him and his wife Sheri the sole owners. Nalivka is a member and consultant to the National Meat Association, and member of the Idaho Cattle Association, where he is serving his 8th year as chairman of their Marketing Committee. 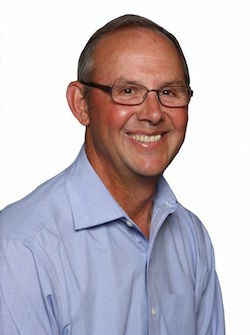 Mike Dawson, Sterling Associate, has over 35 years of experience in all aspects of the coffee industry, including coffee roasting, green coffee processing and sales, brewing equipment design and sales, and for the past 21 years, providing unbiased analysis of the global coffee market. His diverse experience in the coffee business has provided Dawson with essential knowledge of all aspects of this industry and market. 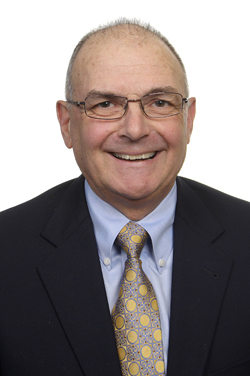 Prior to his affiliation with Sterling Marketing, Inc. , Dawson spent 20 years with a prominent west coast food ingredient commodity information service, conducting analysis on the global vegetable oil and oilseed markets. Similar to coffee, Dawson has an extensive and varied background in the edible oil industry and markets including crude/refined sales, manufacturing, and market analysis. As an adjunct to the edible oils market analysis, Dawson has developed a broad knowledge of the biofuels markets, especially relating to biodiesel. As a Sterling Marketing, Inc. Associate, Dawson provides unbiased information and market intelligence on edible oils and coffee to help clients make cost-effective purchasing decisions and minimize their risk.